shree is using Smore newsletters to spread the word online. 35 girls, One chance of a lifetime to meet the prince and become Ilea's next princess! This was the scene where all the girls were all dressed up to meet the prince. This was when they got out of the plane and they found paparazzi all around the airport. 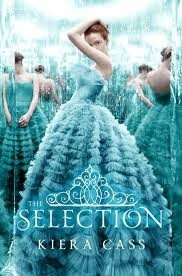 This book is about 35 girls who want to to be the next princess of Ilea and to do that they have to get into the selection to meet Prince Maxon. The main character, America Singer, is forced to submit an application to the selection. She surprisingly gets selected but would she have to leave her love for her secret boyfriend Aspen? As she approaches the castle and away from her home as a five, she doesn't expect that she would actually have a lot in common with the uptight royal family. America is not like any other girl. She is beautiful, skinny ,and a tall red head who loves to sing. America and Prince Maxon gradually become friends then they actually start to like each other in another way. At the end of this book she then gets selected to be an Elite. It not quite the end of her journey.... Yet! The theme of this book is not to under estimate your self. 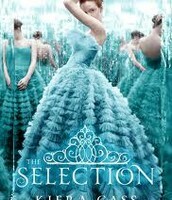 Like when America, the main character, thought she wasn't pretty or good enough to get into the selection. Later she got a letter in the mail saying the she has been selected for the selection. I can relate to this in my life; I remember once I thought i wasn't capable of getting into Legal Lives. That was a program kind of thing in 5th grade. After a week i got a letter saying that i got excepted into Legal Lives. Ever since then i haven't thought my self not good enough for anything. I think the point of view of this book is first person because only one person is speaking at a time. Also it uses "I".